Kabul, Afghanistan—May 3, 2018—The Bayat Group (www.bayat-group.com), Afghanistan’s largest private company and employer, whose divisions include market-leaders Afghan Wireless (www.afghan-wireless.com), Ariana Television, (www.arianatelevision.com), ATN News (www.ariananews.af), Bayat Energy (www.bayat-energy) and other enterprises, announced today that Bayat Group Founder and Chairman Dr. Ehsanollah Bayat, is the recipient of the Annual Leadership Award from The Afghan American Chamber of Commerce (AACC). The Afghan-American Chamber of Commerce is the leading non-profit organization dedicated to championing investment in Afghanistan and promoting strong and supportive relationships between Afghan and American business leaders. The AACC bestowed its Annual Leadership Award—the organization’s highest honor—upon Dr. Bayat in recognition of his powerful and innovative leadership in helping build a modern Afghan economy. “I accept the AACC’s Annual Leadership Award with tremendous gratitude,” said Dr. Ehsanollah Bayat, the Founder and Chairman of The Bayat Group. “The Bayat Group invests and builds in Afghanistan—we have a workforce that is 99 percent Afghan—because we want Afghans to live better lives,” Dr. Bayat said. Founded by Mr. Ehsan Bayat, The Bayat Group (www.bayat-group.com), is Afghanistan’s most prominent diversified services company, comprising Media and Telecoms (Afghan Wireless, Ariana TV/Radio), Energy and Mining (Bayat Energy), Construction, Security and Logistics Enterprises. A leader of Afghan-based economic development, The Bayat Group provides employment to more than 6,000 Afghans through its direct operations and employs more than 100,000 other Afghan citizens through its ecosystem of dealers and vendors. 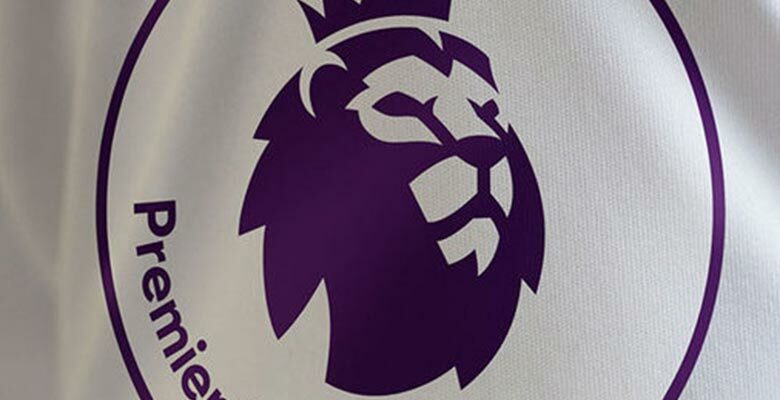 (www.arianatelevision.com), Afghanistan’s premier broadcaster of award-winning television and radio programming to 25,000,000 Afghans, announced today that the network had acquired the excusive broadcast rights, in Afghanistan, for English Premiere League Football. Launched in 2005 by Mr. Ehsan Bayat, Founder of ATN and the Chairman of The Bayat Group (www.bayat-group.com), ARIANA Television (ATN) and Radio Ariana 93.5 are the largest private media channels in Afghanistan, covering 33 of 34 provinces and reaching over 20,000,000 Afghans. Focusing on information, content and entertainment that rekindles Afghanistan’s traditions and culture, ATN’s programming places particular emphasis on education, health, children’s programming, women’s and world issues, and we take great pride in broadcasting accurate, unbiased news to our audience. ATN provides the Afghan Nation with a “Window for a Better Tomorrow”, by exposing our radio and television audiences to the best of international arts & culture and expanding opportunities for Afghan writers, producers, actors, and directors. Along with our affiliated enterprises – The Afghan Wireless Communication Company – and The Bayat Family Foundation, we employ and train more than 6,500 Afghans throughout the country and we are proud to have Afghans building and broadcasting ATN / Ariana 93.5 for all of Afghanistan. Kabul, Afghanistan—May 1, 2018—The Bayat Group (www.bayat-group.com), Afghanistan’s largest private company and employer, whose divisions include market-leaders Afghan Wireless (www.afghan-wireless.com), Ariana Television, (www.arianatelevision.com), ATN News (www.ariananews.af), Bayat Energy (www.bayat-energy) and other enterprises, announced today that Bayat Group Founder and Chairman Dr. Ehsanollah Bayat, delivered the keynote address at the annual Afghan-American Chamber of Commerce (AACC) Business Conference, which was held from April 24-26 2018, in Washington, DC. Dr. Bayat will delivered the event’s keynote remarks on April 25, 2018. Addressing a highly select delegation of Afghan and American corporate executives, emerging entrepreneurs and high-ranking government officials, Dr. Bayat’s speech presented his ideas for developing an Afghan economy that can provide prosperity and opportunity to all the nation’s citizens. Bayat Power’s recently approved construction of Bayat Power-1, phase 1 of a three-phase 200 MW power plant, which is Afghanistan’s first new gas to energy power plant in over forty years. In addition to Dr. Bayat’s keynote address, Bayat Group senior executives took leadership roles on panel discussions which examined the development of Afghanistan’s Information, Communications and Technology (ICT) sector, and increasing investment opportunities within the nation’s Energy and Infrastructure sectors. capital—and determination—to move Afghanistan forward,” said Dr. Ehsanollah Bayat, the Founder and Chairman of The Bayat Group. Kabul, Afghanistan—October 3, 2016—Bayat Power, a wholly owned subsidiary of Bayat Energy (www.bayat-energy.com), an Afghan-owned, independent energy exploration, development and production company executed a Memorandum of Understanding (MoU) with the Government of the Islamic Republic of Afghanistan today to enter into a partnership with Bayat Power for its three-phase, US$ 250M Independent Power Producer (IPP) investment program. The program’s first phase – Bayat Power 1 – is a 100% equity financed power plant to be located in Sheberghan, capital of Jawzjan Province which will have a 52MW capacity. Subsequent phases will scale to more than 200MW of capacity, utilizing advanced aeroderivative technology. The fully completed gas-fired power plant will be able to generate in excess of 200 MW of power and is expected to have an operational life of at least twenty-years. 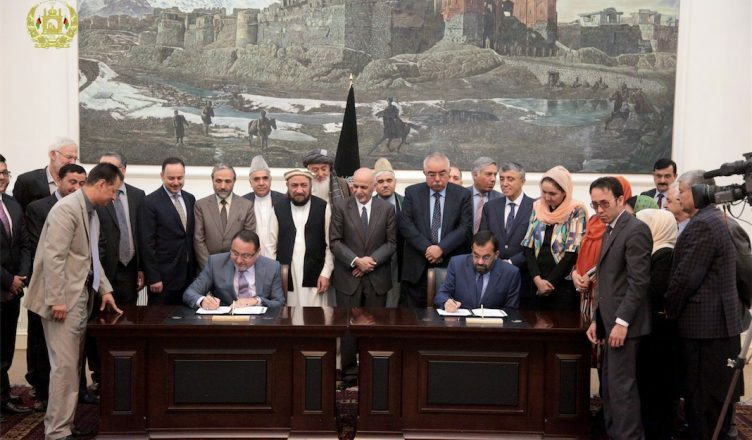 The MoU — approved during a meeting of Afghanistan’s Economic Council chaired by His Excellency, President Ashraf Ghani, on Sunday, October 2nd — was signed by Dr. Bayat and Eng. Ali Ahmad Osmani, Minister of Energy and Water, in the presence of His Excellency President Ghani and Economic Council members on Monday, October 3rd.